Famed Swedish DJ and production duo Dada Life are gearing up for their highly anticipated Miami Music Week 2015 ensemble later this week. The Nocturnal Times sat down with the acclaimed duo just one week before their Dada Life Compound event in Miami to discuss what fans can expect from the guys at the Compound. The Nocturnal Times also discussed early musical influences, the origination of Dada Life, back-to-back opportunities, what’s to come from Olle and Stefan in the short-term future and where they see Dada Life five years from now. Familiar to many dance music enthusiasts for their high-energy performances, uniquely signature sound, the Rules of Dada, Dada Land, and doing the Dada. With years of producing, remixing, and major globally renowned festival and notable nightclub gigs, Dada Life shows no signs of slowing down anytime soon, so raise your champagne and bananas, this one’s for Dada Life! The Nocturnal Times: Who were some of your early musical influences? What made you first begin your exploration of dance music? Dada Life: We both love 90s rave, like Prodigy and other stuff like that. Other than that, Stefan is coming more from a hard dance background and Olle more from punk. TNT: How did the both of you first decide to create Dada Life? What made you choose the name Dada Life? Dada Life: We met at a chili cook off and decided to make a song. The day after we met in the studio and made our first single, “Big Time.” After that it took a while until we joined with full force, but it was only the beginning. The name just comes from living a Dada Life. TNT: Have you been focusing on new album material or new EP/single releases? What are some recollections you have of studio sessions while creating you last album? Dada Life: Apart from “Welcome to Dada Land,” we’re working on new EPs/singles right now. We’re trying a new song out right now that will be the next release. So come to a show if you want to hear it! TNT: What does the Dada Life Compound mean to you? How do you want the series to be perceived by fans? Dada Life: We just wanted to take everything we’ve done during the years and make it happen in one night. It’s like taking whipped cream and adding candy and ice cream on top. Extra everything! TNT: You’ll be playing a Dada Life Compound show in Miami on March 28 with a number of special guests. What can you share with the readers of The Nocturnal Times about what fans can expect during Miami Music Week? Dada Life: We want it to be the best party of the weekend, of course! Where else can you go to find pillow fights, huge smiles, and tons of bananas? TNT: What can you share about memories of Miami Music Week and WMC’s past? What do you look forward to most about returning for the annual weeklong festivities in Miami? Dada Life: The best thing about Miami is just strolling around at all the day parties, meeting DJ’s you never have time to meet and talk about nothing! TNT: Given the opportunity to play a back-to-back set with any DJ, who would you choose and why? Dada Life: Kurt Cobain! We think that would be an amazing night! 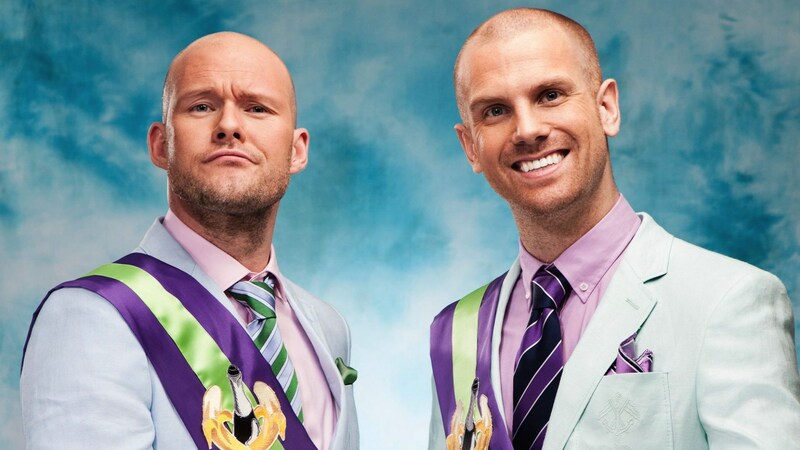 TNT: Where do you see Dada Life five years from now? …And why champagne and bananas? Dada Life: In five years we have territory for our nation Dada Land somewhere in the world. Somewhere we can be free and do whatever we want to do. Champagne and bananas will still be around, if the combination isn’t illegal yet. For more information about the Dada Life Miami Compound show and to purchase tickets, click here.